Chronic, long-term pain after lung cancer surgery such as a lobectomy is far too common, with around 50 percent of people experiencing symptoms of pain with movement, burning nerve pain, and shortness of breath. Treatment options can include pain medications, nerve blocks, silicone implants, spinal cord stimulation, or alternative therapies. Coping with this pain (that's been coined post-thoractomy pain syndrome or postpneumonectomy syndrome) can be challenging, but fortunately, this is an area of active research with several clinical trials currently in progress. People may have chronic pain after any type of lung surgery, but two syndromes have been coined based on common symptoms. Postpneumonectomy syndrome is a complication that can occur months to years following a pneumonectomy for lung cancer or other conditions. It is more common following a left pneumonectomy than a right pneumonectomy and occurs more frequently in younger people. Post-thoracotomy pain syndrome (PTPS) is another phrase used to describe this severe pain and includes pain after other lung cancer surgeries such as lobectomy as well. The syndrome occurs when the remaining lung and structures in the middle area of the chest (the mediastinum) are displaced, and fill the empty area that is left after a lung or part of a lung is removed. It's thought that 50 percent of people who have surgery for lung cancer experience chronic pain to the degree that it interferes with quality of life. It is probably under-reported and is seriously under-treated among those who have survived lung cancer. Postpneumonectomy syndrome can have a significant impact on a lung cancer survivors well-being, and indirectly through this, on their recovery. Chronic pain after lung cancer surgery can take a number of different forms, but for most people, the pain and other symptoms are very frustrating. 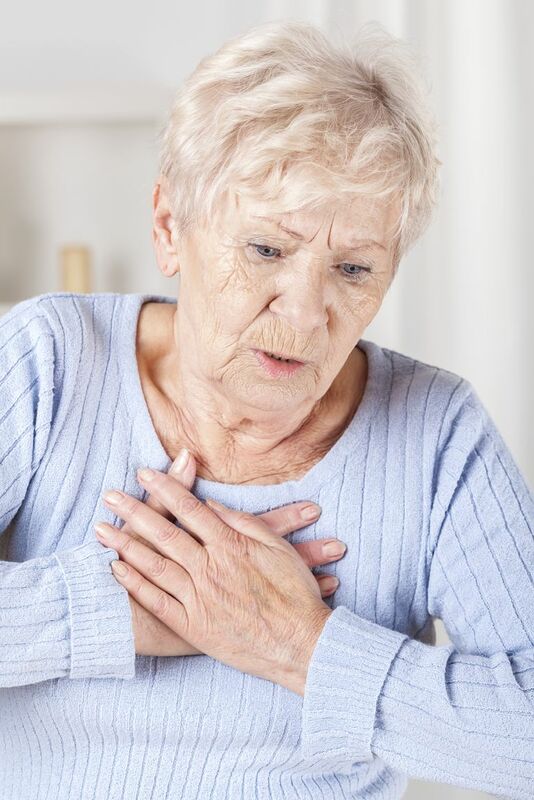 Some people also not progressive shortness of breath associated with the pain, but this may be overlooked as an expected symptom after a reduction in lung mass. A number of different treatments have been tried for post-thoracotomy syndrome, and it's likely that a combination of treatments, rather than one treatment alone, is the best option. Sometimes opioids are needed to get the pain under control, but unfortunately, thoracic surgery has been found to lead to long-term opioid use far too often. Anti-inflammatory medications may help some people, but are relatively ineffective with nerve pain. Anti-seizure drugs such as gabapentin may be helpful for some people who have neuropathic pain. The use of silicone implants (similar to breast implants) that are placed in the chest to fill the space left over following the removal of a lung, has given some people significant relief from long-term pain after lung surgery. A number of studies have looked at different types of nerve blocks to control pain, with some success. Recently spinal cord stimulation has also been found to be effective for controlling pain for some people. Some of the alternative cancer treatments such as massage therapy and acupuncture may help with pain control and with coping with the aftermath of cancer treatment. For a long time, people weren't expected to live for a long time after lung cancer surgery, and management of quality of life issues such as chronic chest pain was put on the back burner. Fortunately, survivorship issues, such as persistent pain and other long-term effects of cancer treatment are now being addressed, and the field of cancer rehabilitation taking shape to help people live their best life following treatment. If you're coping with chronic pain after lung cancer surgery, talk to your doctor. Some cancer centers have pain management specialists who are trained in ways of helping people cope with neuropathic type pain. With new procedures such as video-assisted thoracoscopic surgery (VATS) replacing some open thoracotomy procedures, the incidence of postpneumonectomy syndrome will hopefully decrease in the future. For those who are living with the syndrome today, there is hope as well, and active research is ongoing looking for ways to help people cope with this annoying after effect of lung cancer surgery. Examples: Josh was becoming more short of breath a year after his pneumonectomy for lung cancer, and his doctor diagnosed him with postpneumonectomy syndrome. Gerner, P. Post- thoractomy Pain Management Problems. Anesthesiology Clinics. 2008. 26(2):355-vii. Jung, J., Cho, J., Kim, H. et al. Management of Post-Pneumonectomy Syndrome Using Tissue Expanders. Thoracic Cancer. 2016. 7(1):88-93. Hopkins, K., and M. Rosenzweig. Post-Thoracotomy Pain Syndrome: Assessment and Intervention. Clinical Journal of Oncology Nursing. 2012. 16(4):365-70. Wininger, K., Bester, M., and K. Deshpande. Spinal Cord Stimulation to Treat Post-thoractomy Neuralgia: Non Small-cell Lung Cancer: a Case report. Pain Management Nursing. 2012. 13(1):52-9. Steegers, M., Snik, D., Verhagen. A. Only Half of the Chronic Pain After Thoracic Surgery Shows a Neuropathic Component. The Journal of Pain. 2008. 9(10):955-961. How Will Lung Cancer Surgery Affect My Quality of Life? What Are the Best Ways to Manage Pain for Lung Cancer? Is Surgery the Right Option for Your Lung Cancer? How Can You Recover After Your Lobectomy Surgery? How Can Pulmonary Rehab Make a Difference With Lung Cancer? What Is a Wedge Resection for Lung Cancer and When Is it Done? How Can You Best Prepare for Lung Cancer Surgery? What Can You Expect With a Thoracotomy Procedure?